COLOTRUST is a statutory trust organized and existing under the laws of the State of Colorado and is intended solely for the use of Colorado local governments. The Trust was created on January 1, 1985 by an indenture of Trust in accordance with the “Pooling Act” which states that any county, city and county, city, town, school district, special district, or other political subdivision of the state, or any department, agency, or instrumentality thereof, or any political or public corporation of the state (local government) is authorized to pool any moneys in the treasury of such local government which are not required to be disbursed, with the same such moneys in the treasury of any other local government in order to take advantage of short-term investments and maximize net interest earnings. COLOTRUST serves over 1,500 local governments* and has current combined assets of nearly $7 billion*. COLOTRUST is designed to provide local governments with a convenient method for investing in short-term investments carefully chosen to provide maximum safety and liquidity while still maximizing interest earnings. For complete details see the Trust Indenture and Information Statement. COLOTRUST is comprised of two funds: COLOTRUST PRIME and COLOTRUST PLUS+. COLOTRUST PRIME invests only in U.S. Treasury and government agencies. COLOTRUST PLUS+ can invest in U.S. Treasury, government agencies, and in the highest-rated commercial paper. Both programs carry a ‘AAAm’ rating from S&P Global Ratings. A twelve member Board of Trustees, elected by the fund Participants, is responsible for overseeing the management of COLOTRUST, including establishing operating standards and policies. Public Trust Advisors (Public Trust) serves as the investment advisor and administrator. 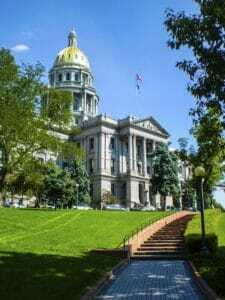 To invest only in investments legally permitted under Colorado State Law. To maintain the highest money market rating for the COLOTRUST portfolios from a nationally recognized statistical rating organization. This philosophy has made COLOTRUST the largest and most trusted local government investment pool in Colorado since its inception. A ‘AAAm’ rating by S&P Global Ratings is obtained after S&P evaluates a number of factors including credit quality, market price exposure, and management. Ratings are subject to change and do not remove credit risk. COLOTRUST is overseen by a Board of Trustees, comprised of twelve active members of the pool who have been elected by the Participants to oversee the management of the Trust. The Board is responsible for selecting the Administrator and Investment Advisor. Currently, the Board retains the services of Public Trust Advisors, LLC (Public Trust) located in Denver. Public Trust serves as the Administrator and Investment Advisor. Who is eligible to use COLOTRUST? Any county, city, town, school district, special district, or other political subdivision of the State of Colorado, or department, agency, or instrumentality thereof, or any political or public corporation of the State of Colorado may join COLOTRUST as a Participant and take advantage of the COLOTRUST investment options. Learn more about investing funds on behalf of your local government. We encourage you to check out our Investment Calculator and see how much your investments could have earned if you had already started your investment journey. Let us help you determine the right investment option for your local government!